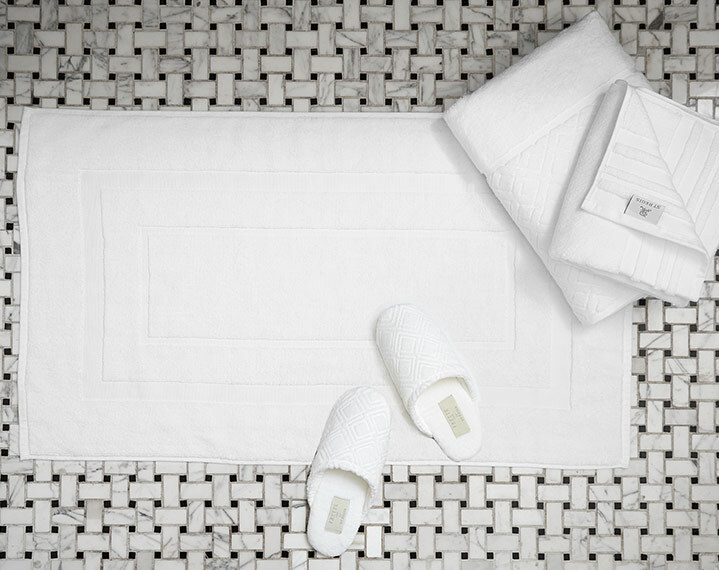 Escape to a sanctuary of relaxation when you wrap yourself in the St. Regis Diamond Bath Towel. 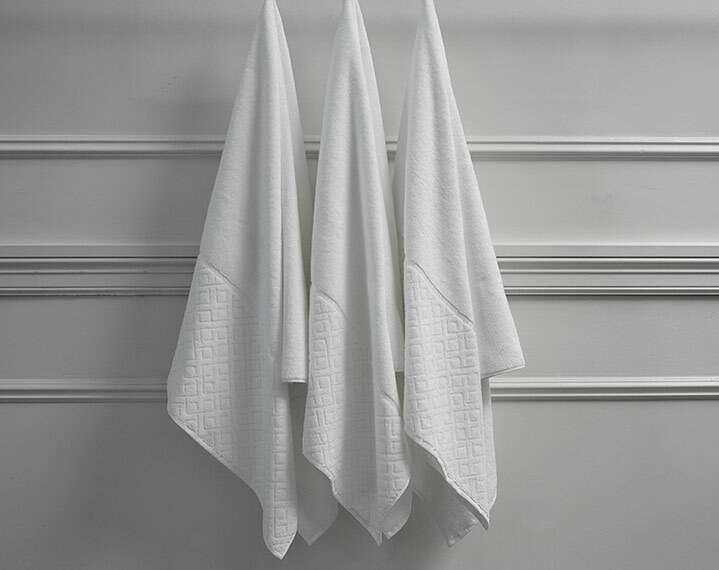 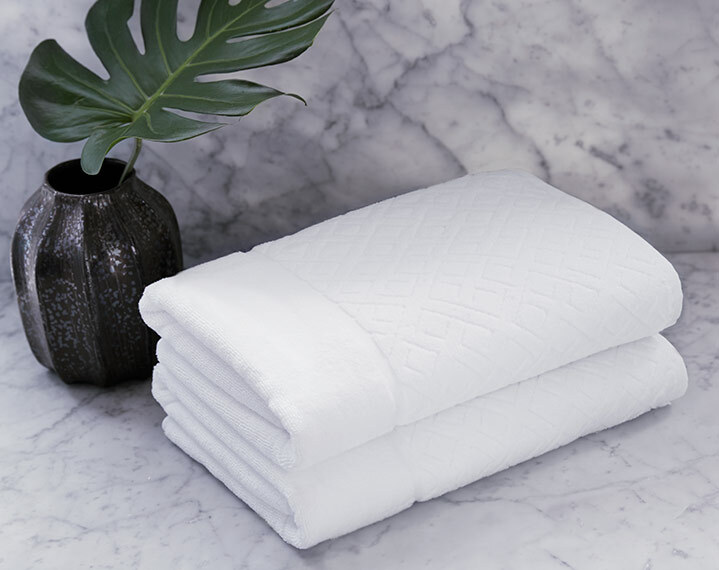 Adorned with a distinctive diamond twill border, our white bath towel is crafted of the purest cotton to provide optimal warmth and absorption. 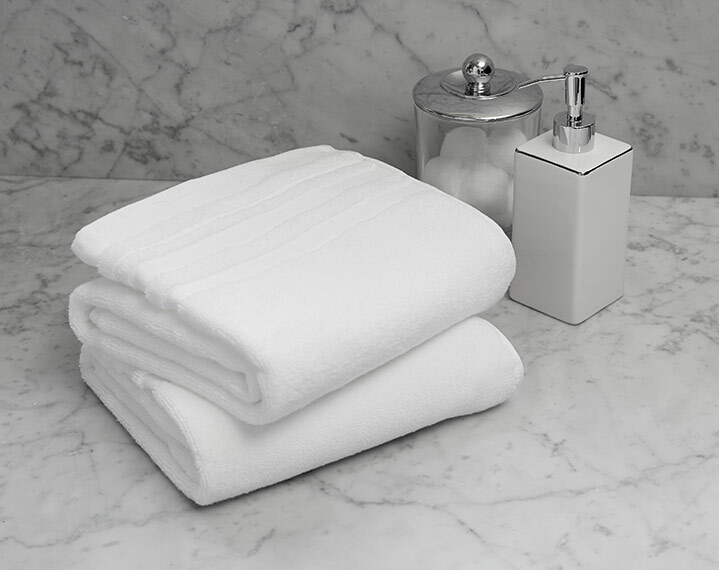 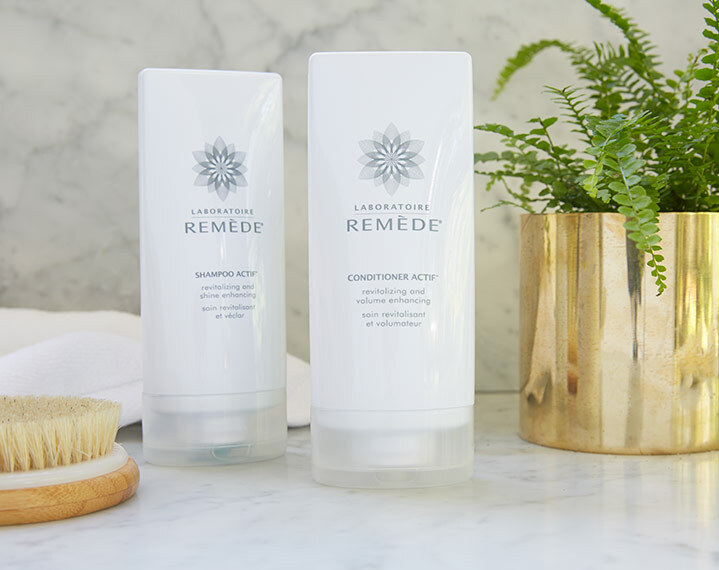 Pair with the entire Diamond Towel Collection for an exquisite bath experience each day and night.